ALROSA, the world's largest diamond miner, today announced diamond sales results for October and the first ten months of 2018. ALROSA's total diamond sales in January-October 2018 grew 6% YoY and amounted to $3.9 billion. 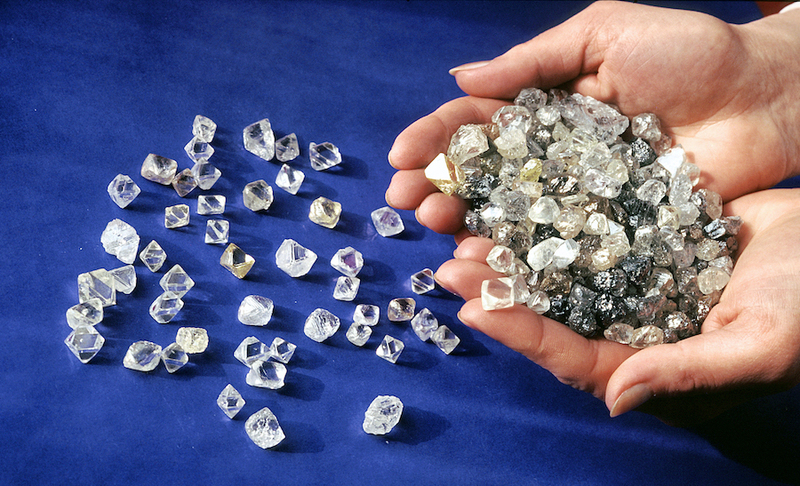 During the ten months of 2018, rough diamonds were sold for $3.8 billion, and polished diamonds for $83 million. In October, demand for small-size inexpensive rough diamonds continued to remain weak, the company stated. “Seasonal slowdown on the threshold of Diwali was exacerbated by a weakening Rupee, USD FX rate, a number of minor bankruptcies in India and tighter credit conditions for the cutting and polishing sector in this country,” ALROSA Deputy CEO Yury Okoemov said in a statement. “We expect the situation to stabilize through December this year to the first quarter next year, [and] rough diamond sales are expected to be in the range of 37-38 million carats,” Okoemov said. “While in value terms, our 2018 sales should be higher compared to the last year results."